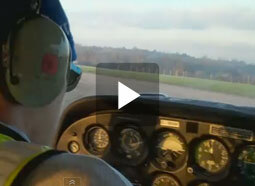 Want to know what it is like to fly one of our aircraft? 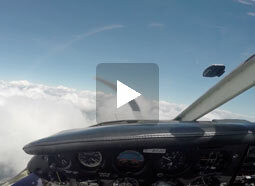 This page shows some videos provided by our members in our Cessna 172 and Piper Warrior PA28 aircraft. Alouette pilot Joe Stickings started his PPL course in October 2011 and originally started recording his flights as a method to help in his training. By subscibing to the PPL Video Diary channel you will get updates of Joe's future flying adventures aswell as getting a feel of what it is like to fly one of Alouette's aircraft. Here's a taster of the training involved during the UK IMC rating course, now known as the Instrument Rating Restricted, or EASA IRR(A). Thanks to Robbie Garrett for the video. 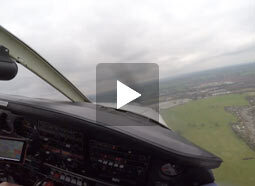 A video from Alouette PPL Joe Stickings in G-BRAK on a short navigation flight with some VFR circuits at Biggin on return. 50 minute trip + circuits at Elstree, returning back to London Biggin Hill. Thanks to pilot Robbie Garrett for providing this. A flight in the Piper Warrior G-BUJO from Biggin Hill to Ostend - and back at night. Thanks to pilot Stefan Szaniszlo for providing this. 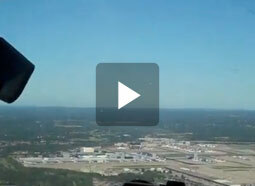 A video from Alouette student Robbie Garrett showing startup, take-off and practice circuits in the Cessna 172 G-BRAK on a sunny evening at Biggin Hill. 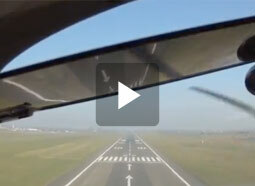 A very good video of recently qualified member Tom Wheeler transiting over London Gatwick in our Cessna 172 G-BRAK.